We pick up from the introductory article by expanding on the issue of MORE Europe, which we did not cover in enough depth. It is without a shadow of doubt that belonging to an enlarged common market has huge beneficial advantages to all its participants. However, the question of the Cost / Benefit analysis dynamics is never really explored in more detail. Perhaps it is easier to focus on just one or the other of the two interlinked dynamics, but for it to be a balanced appraisal; we need to focus on the interactions of both COST and BENEFITS. 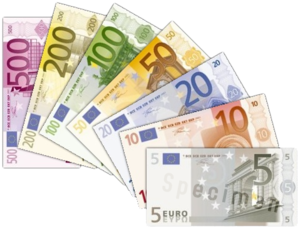 And when the leaders of Europe cannot tell anymore what the difference is between a COST and a BENEFIT of being in a single currency Eurozone, then what chance do the rest of us have? Is our COST the misplaced belief that leaders will make decisions in our best interest that will BENEFIT us in the long run? But if the COST is the lesson of Moral Hazard, why have they not learnt yet that working towards an orderly default is better than raiding the futures of millions of current and future taxpayers in Europe. The COST of an uncompetitive and stagnating Europe (which has been brewing and developing for a few decades now), is that we have lost the ‘child like’ curiosity of inventing and innovating our why towards sustainable economic development and growth. Rather than embrace the opportunity to learn from the younger cultural of the Eastern European and Baltic States integration onto Europe, we are in danger of smothering their youthful exuberance with a bureaucratic Welfare State super-state, with a healthy dose of Welfare and Debt dependency for decades to come. No-one is saying that the transition will be painless, but it seems that most leaders in Europe have forgotten to keep an eye on both the COST and BENEFIT dynamics. Except for the brave decision made by David Cameron on Friday morning. Veto the madness and risk what some call isolation, but we here at theMarketSoul call the grasp for our economic sanity. We can still be part of a common market and then there is still a Common Wealth to leverage, should both the EU and the USA decide to marginalise Britain on the international stage, as some commentators are fearing. Maybe a true third balancing force and alliance will help us move out of the doldrums of the CRISES of 2008 – 2011 (and quite possibly beyond). 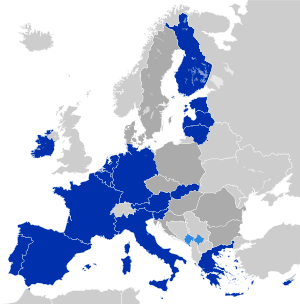 More and Bigger Europe…Is that what we really want?